Hope you are all doing great and holding up in this cold wave! ☃? Every time I leave my apartment I feel like I get slapped in the face by this cold wind! I am seriously ready for higher temperature, so I hope it will get warmer soon ? This look is something I would wear to school or casual coffee hangout with some sneakers or basically whenever I wanna look super cool ?? I think the roses on the BF jeans make them look more feminine and vintage, love it! I’ve developed an obsession for sweaters and shirts with some cool print on them – i think you can express your mood so well with them ? Look how gorgeous Sabo Skirt’s dresses are?! I know it’s summer in Australia atm but I found these 2 pieces that can be worn in this coldness as well. I absolutely love their brand, I think all their pieces are so well thought through and romantic. I can’t wait to wear their stuff when it gets warmer ? *Surprise* The last outfit idea is from my all-time favorite: Nelly.com. The black top is so flattering and you’re sure to snap somebody’s neck with that velvet jacket. I know I would turn around and be like: damn, nice jacket ? 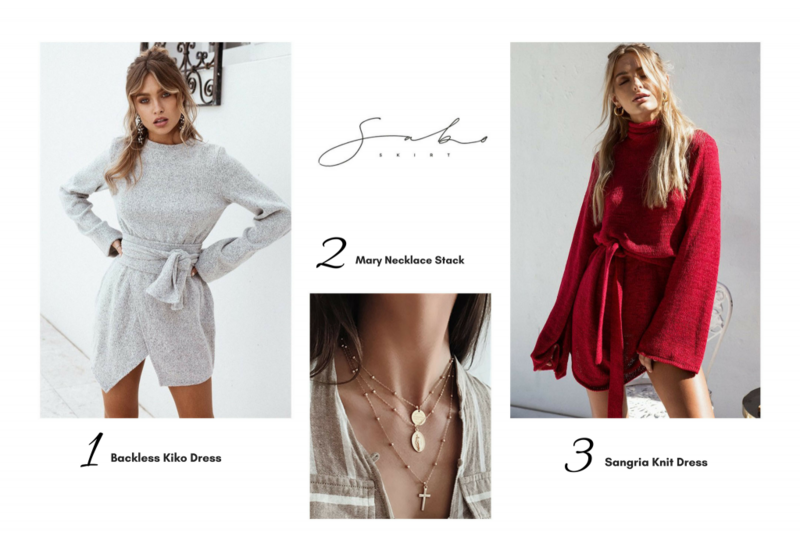 You know by now that I’m a big Nelly & Missguided fan, but Sabo Skirt is new, so I’m excited to see how their clothing fits me and review them, I’ll keep you posted ? Hope you liked these looks & I’ll blog to you soon! 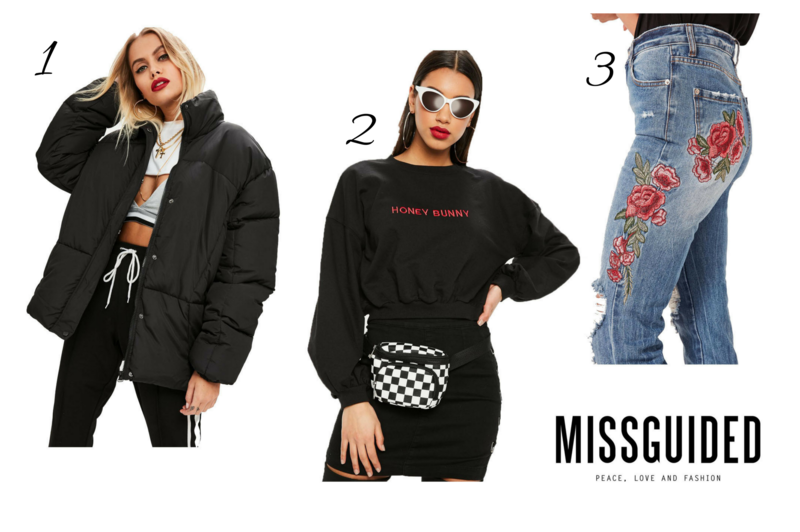 PS: Missguided has -50% on everything atm!